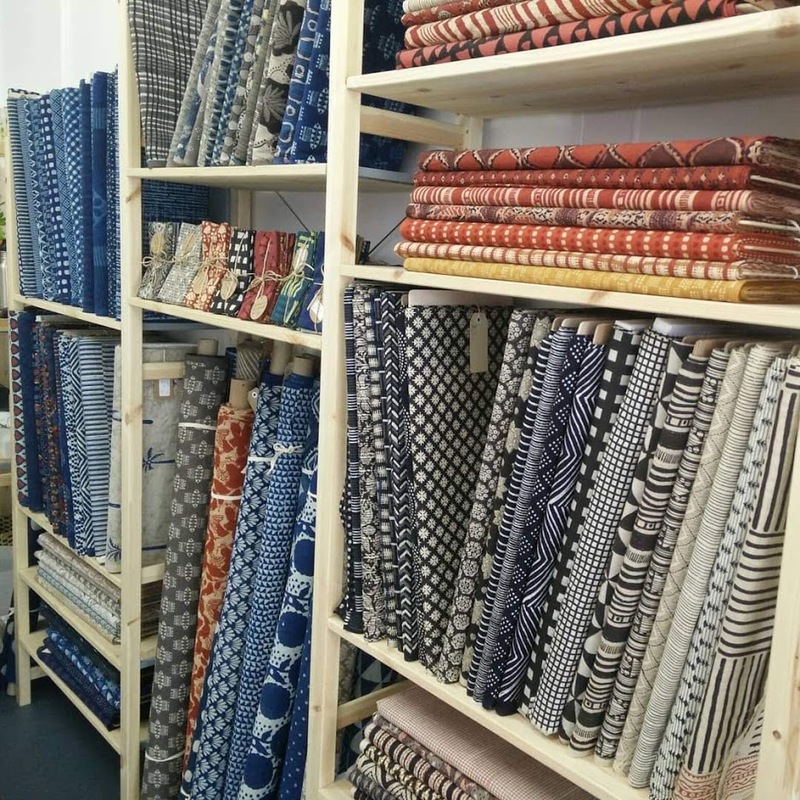 Last year a new, and rather lovely, fabric shop opened up in Myaree, Perth. It is called Woven Stories Textiles and stocks a stunning array of ethically sourced hand woven, hand dyed and hand printed fabrics for sewing and quilting. Being a bit short of money of late I was very restrained and chose just 1 metre of one fabric - this indigo dyed, hand printed cotton. I hunted through my scrap drawers and my stash for a fabric that I could use as a contrasting panel and all I could find was a tiny amount of cotton that I had dyed with indigo a couple of years ago. The cotton had a pattern cut into the fabric and was a good match in colour and rustic-ness (!) for my main fabric. However, there was too little contrasting fabric to use as a panel, so I cut it into uneven rectangles and made a panel with offcuts of my main fabric. I hand stitched around each piece with embroidery thread as an extra little detail. I had just enough to make contrasting bias binding for the neck and armholes and for a strip around the hem of the dress. I decided to lengthen the dress slightly more than the original pattern and have a straight hemline. So there we are - the print doesn't match down the centre due to fabric restrictions, the contrasting fabric is fraying where it was pre-cut and the dress is very rustic and imperfect - but I love it. I adore indigo-dyed fabric and this is so floaty and comfortable to wear. I'm so pleased I was able to think of a way to squeeze this lovely, simple pattern on to my special fabric. 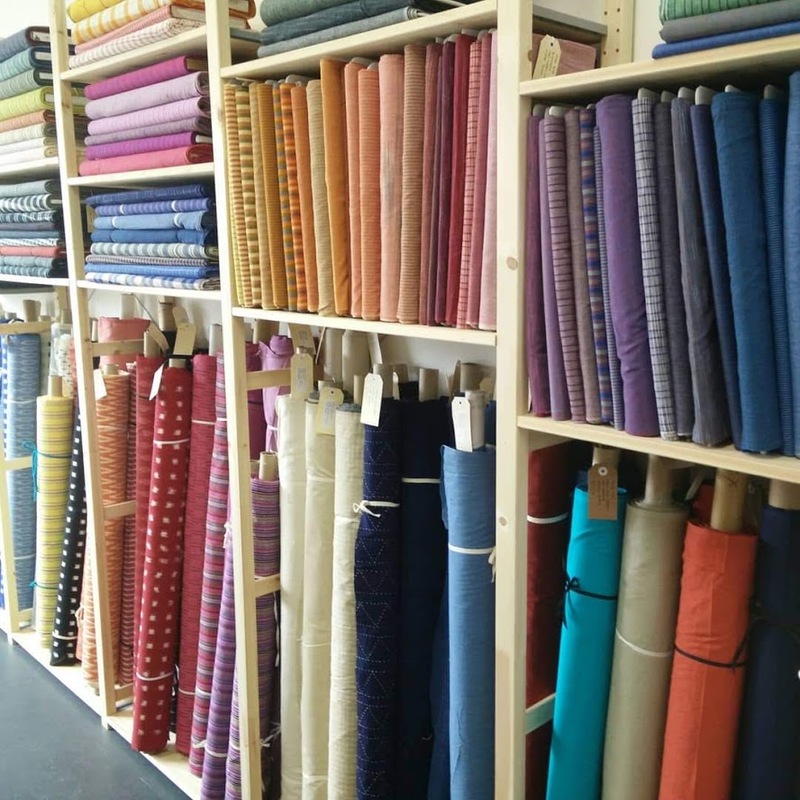 A while back, a lovely sewing friend gave me a gift voucher for Tessuti Fabrics. 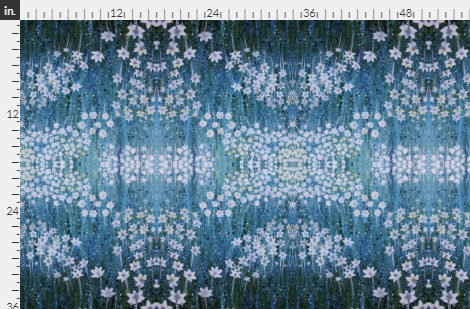 One of the things I bought was this Italian designer, stretch denim, panel print called 'Water Wheels' (now sold out). It was $49 for the 1 metre panel, which is rather more than I usually splurge on fabric, so I just got the one panel with no idea of what I would make with it. I eventually settled on an old favourite pattern - the Xerea Dress by Pauline Alice. When adding this link, I wasn't able to find the pattern in the online shop. I hope it is still available as it's a winner. I have made this pattern a couple of times before and I still wear the dresses a lot. I chose the View A shift dress, but left it sleeveless. I had to think carefully about cutting this dress. I only had one metre of fabric and the bold print could not be ignored for matching purposes. The large size of the 'wheels' added another cutting challenge as they needed to be centred. In the end I cut front and back pieces with the skirt section slightly narrower than the pattern piece so I could fit them on the fabric with the wheels in the right place. The side panel and internal pocket pieces were cut from a very dark grey ponte. I just squeezed the yoke pieces on and I added black piping between the yoke and main dress pieces for interest. I hemmed the dress with black bias binding as it seemed to need a line of black to balance the colours. I didn't get an exact print match at the sides, but it's acceptable and seriously, this fabric is so stunning who's going to be looking at the side seams except other sewing people?! I adore the colours and print of this fabric and the stretch denim was perfect for this style of dress. I do realise I have a target on my stomach, but I give not one hoot. I was so pleased with this that I wore it on Christmas Day and will certainly be wearing it much, much more. Earlier this year I was a pattern tester for the new book, Breaking the Pattern, by Saara and Laura Huhta of Named Patterns. The book has now been launched and I was lucky enough to be sent a copy for my participation in the testing process! The book is really lovely. It contains pattern sheets for 20 garments with ideas and inspiration for combining and customising patterns to create many more different looks. The presentation and photos are beautiful and the sewing instructions are clear with many diagrams. I definitely recommend this as one of the best sewing books I've seen. 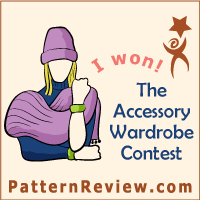 One of the patterns I tested was the Utu skirt. This is a beautifully shaped, unlined wrap skirt with an attached belt and D-ring fastening at the side. The Utu pattern can also be made as a lined pinafore dress. I used a 100% cotton, mid-weight upholstery fabric with a blue and white print. The fairly sturdy fabric worked well for this pattern and the skirt sits and fits very nicely. The belt continues around the back of the skirt through belt loops, which is a nice detail. The skirt sits high on the waist and is a very flattering shape. The belt holds the skirt firmly over the tummy, which is good for smoothing over any rounded bits! This skirt style would work well as a casual, work or evening garment. I'm looking forward to wearing mine a lot as the weather warms up. Last year, before our epic family road trip to the outback of Western Australia, I was looking for projects that I could take in the car to pass the time. 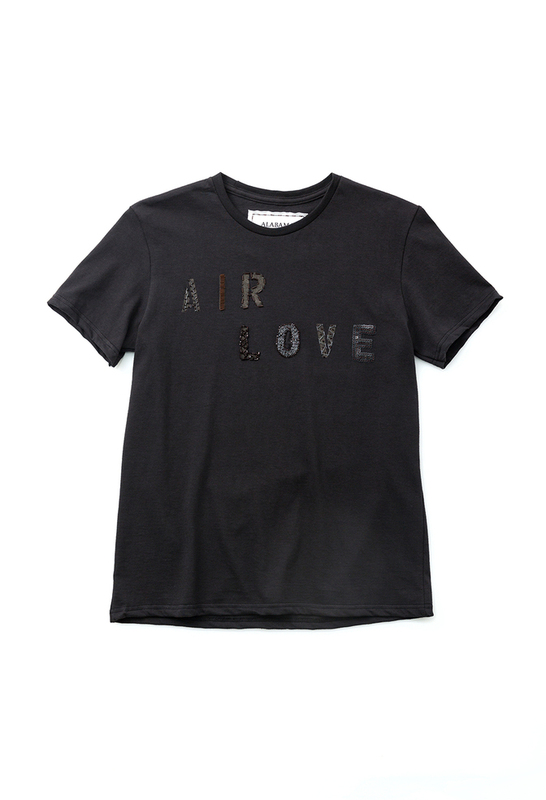 Scrolling through the Alabama Chanin website, I came across a t-shirt with hand-beaded text on the front. I decided to make my own version using the free Plantain tee pattern and the word 'Create'. 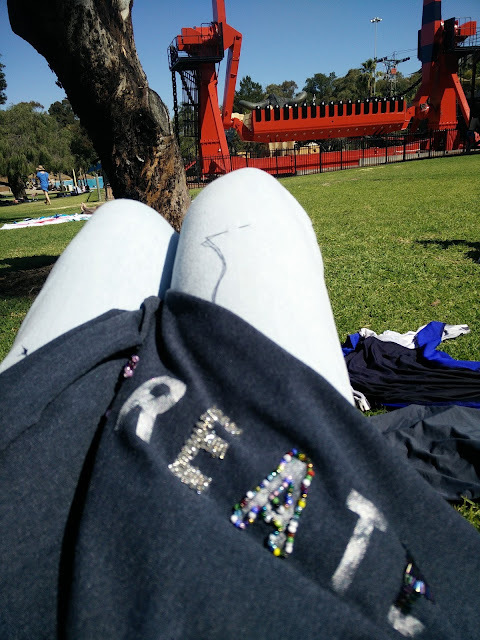 I cut out the pattern from some blue knit fabric and stencilled the word across the front using a handmade stencil, silver acrylic paint and a sponge brush. Then I gathered together some beads, sequins, needles and thread and stuffed everything in a bag for the trip. 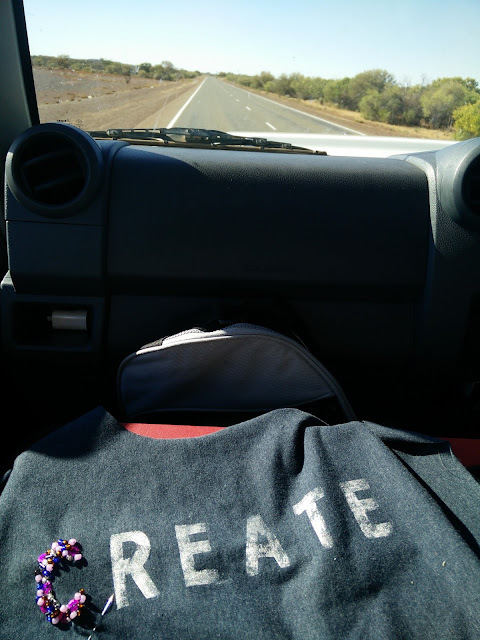 I'm not brilliant at looking down while I'm in the car as it makes me car sick, not to mention wanting to keep an eye out for kangaroos etc on the road, but I did manage to get a bit of beading done while we were travelling. After the trip, I carried on over the school holidays at the local theme park. Finally it was done. I stitched the pattern pieces together by hand and embroidered a decorative stitch down the side seams, shoulder seam and on the neck binding using navy or pink embroidery thread. I love this t-shirt with it's rustic, handmade look and added blingy beads. I wish I had more time to make all the Alabama Chanin things. I love them all! I'm also wearing my Sasha trousers in these pictures.